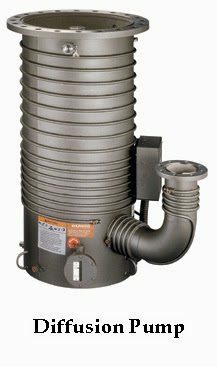 What should the optimum temperature be set in diffusion pump heaters so as to get maximum level of vacuum in shortest possible time? How can the temperature in diffusion pumps be set in such a way that the engineers are able to get maximum life from costly diffusion pump ? Is boiling temperature of silicone diffusion pump oil different from hydrocarbon diffusion pump oil? 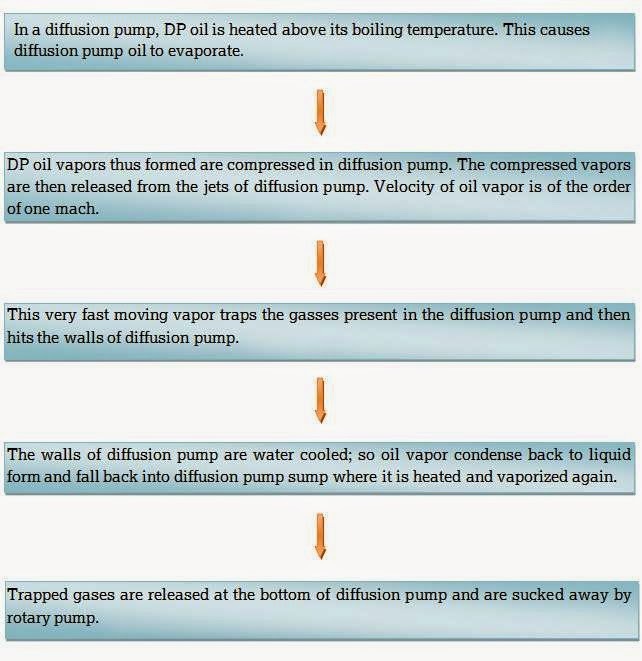 Before attempting to understand optimum boiling temperature of diffusion pump oil, let us take a brief look about working of diffusion pump. Diffusion pump oil works in very difficult environment where there is vacuum and high temperature. So to increase the boiling temperature, superior (obviously costlier) oil will be required which is capable of withstanding these adverse conditions. At higher temperature O-rings and oil seals may give way so better quality sealing material is required (Costly again). 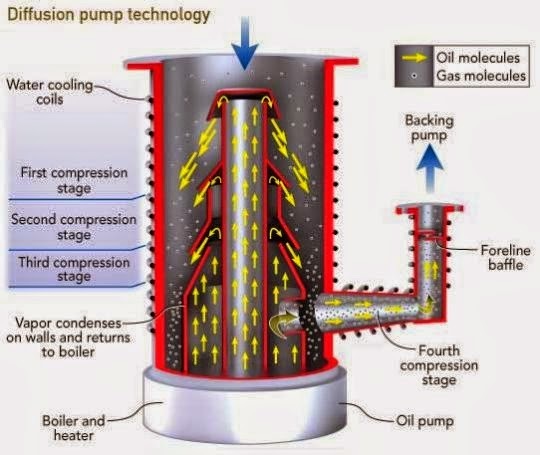 For handling higher temperature, construction of diffusion pump also has to be stronger. For attaining higher temperature higher energy charges will be incurred. For obtaining higher temperature longer time is required so vacuum time increases. 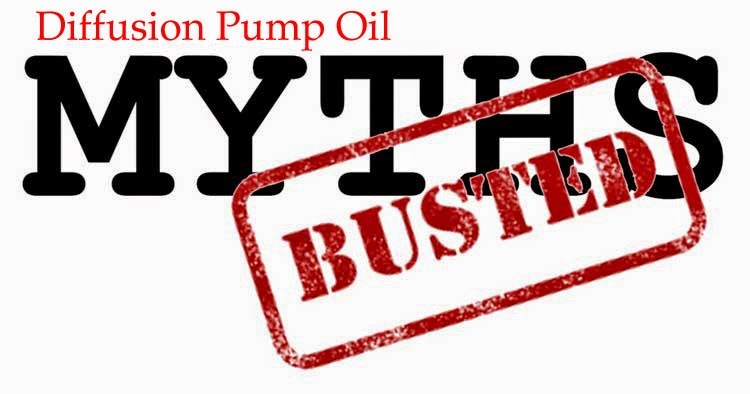 Myth no.3: My equipment manufacturer asks me to use only a particular brand of diffusion pump oil which is exorbitantly priced– Your equipment manufacturer is trying to fleece you. 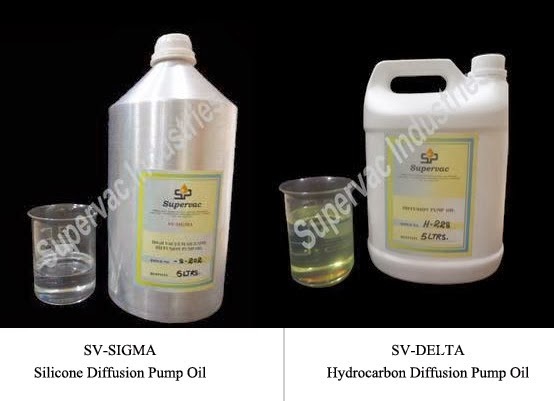 For details about equivalent vacuum oils manufactured by reputed and established manufacturers anywhere in the world please read our blog post at- Vacuum Oil Equivalents. In case you don’t find it there then please contact us. We will help you find an equivalent product. Myth no.4: There is no need of topping up– Absolutely false and dangerous myth prevailing in the industry. 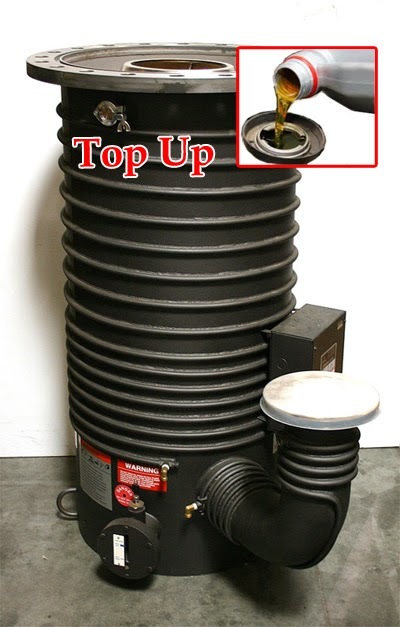 Topping up at regular intervals is of utmost importance to get proper vacuum and avoiding damage to the equipment. Myth no.5: Charging less diffusion pump oil in diffusion pump reduces vacuum time– Absolutely false. Charging less oil than required will cause back streaming, burning of diffusion pump oil and damage to costly equipment. Myth no.6: My diffusion pump oil works at 170oC– Diffusion pumps do not work at temperature below 180oC. Your oil supplier is supplying you cheaper vapor jet booster pump oil. Based on the information given above I am sure that you will be able to choose the right diffusion pump oil as per your requirement. For example- if level of vacuum required is only up to 10-5 Torr and equipment is old then hydrocarbon diffusion pump oil will work more economical. Similarly if vacuum level required is 10-7 Torr then there is no point in using SV-SIGMA+. Furthermore by using simple precautions like frequent topping up you can get a much longer life and value for money from your diffusion pump oil.